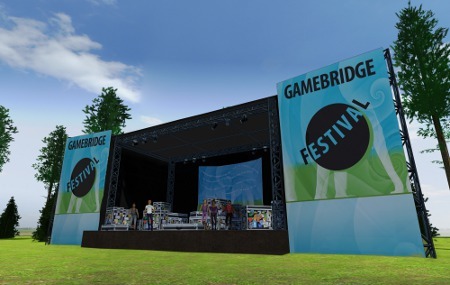 GameBridge is a game for teams consisting of 4 – 5 players who take care of voluntary work in a music festival. 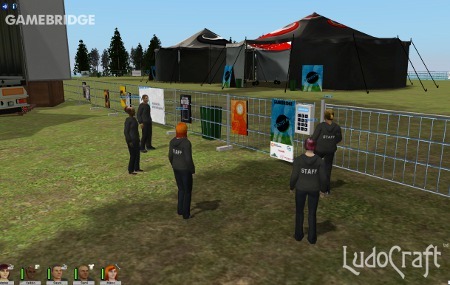 Their tasks include cooking and catering, taking orders, and setting up the stage. 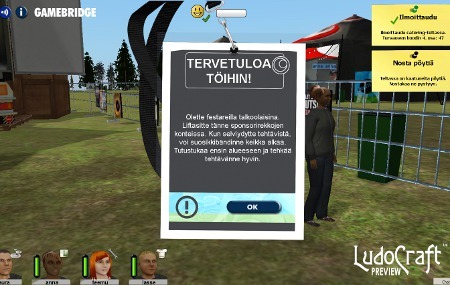 The theme of the whole game is humane sustainability in work life, and it was developed for educational purposes. 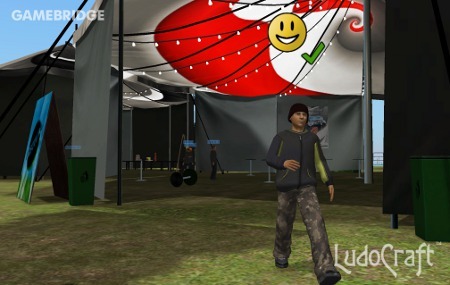 The main aim of the game is to help players recognize their own endurance in challenging circumstances. 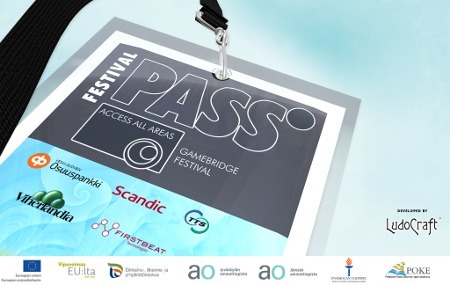 GameBridge also helps to acknowledge the importance of co-operation in a team.